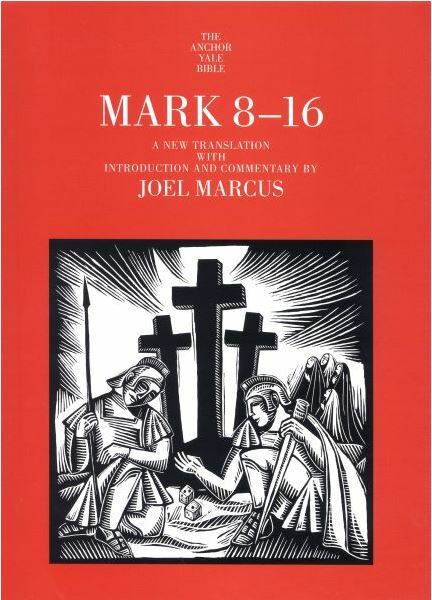 In this volume New Testament scholar Joel Marcus offers a new translation of Mark 8–16 as well as extensive commentary and notes. He situates the narrative within the context of first-century Palestine and the larger Greco-Roman world; within the political context of the Jewish revolt against the Romans (66–73 C.E. ); and within the religious context of the early church’s sometimes rancorous engagement with Judaism, pagan religion, and its own internal problems. For religious scholars, pastors, and interested lay people alike, the book provides an accessible and enlightening window on the second of the canonical Gospels. Joel Marcus is professor of New Testament and Christian Origins, Duke Divinity School, and the author of Mark 1–8, available from Yale University Press. He lives in Durham, NC.